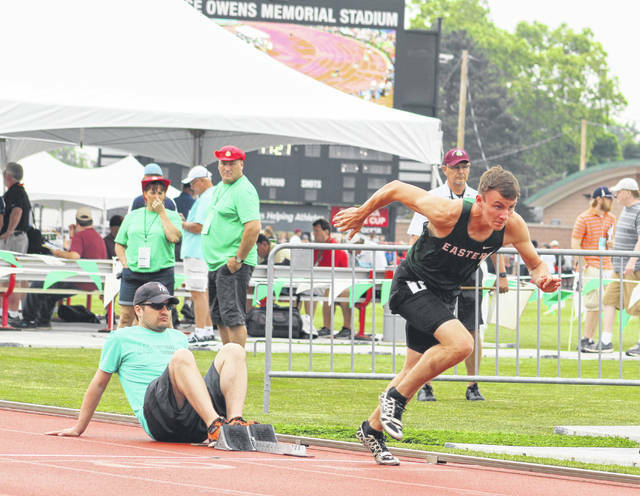 Eastern junior Noah Browning gets out of the blocks during the second heat of the Division III 400m dash semifinals held Friday morning at Jesse Owns Memorial Stadium in Columbus, Ohio. 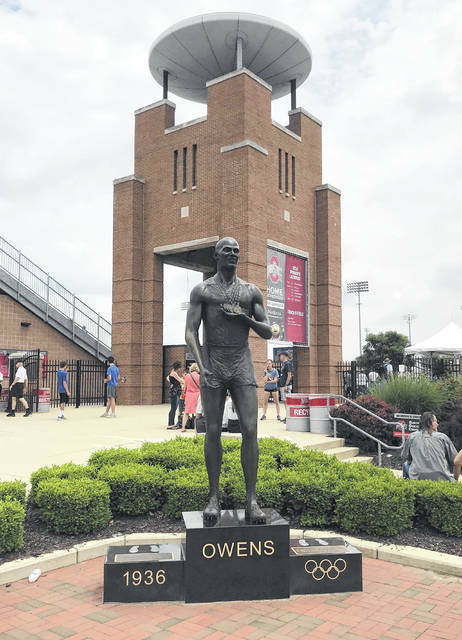 A view of the Jesse Owens statue that stands in the southwest corner of Jesse Owens Memorial Stadium on the campus of Ohio State University in Columbus, Ohio. 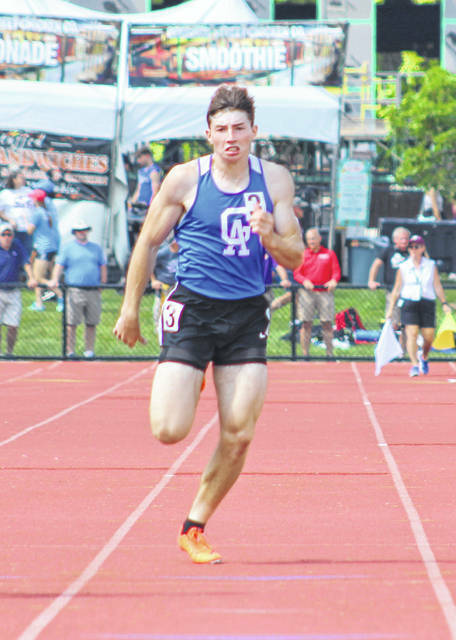 Gallia Academy senior John Stout hits full stride during the second semifinal of the Division II 200m dash event held Friday afternoon at Jesse Owens Memorial Stadium in Columbus, Ohio.